A healthy milkshake sweetened with just fruit! 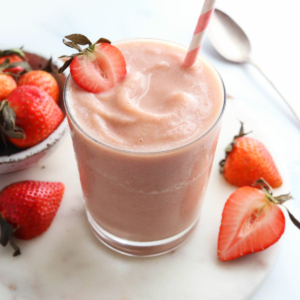 Add the frozen strawberries, vanilla and ice and blend again until a thick shake is created. Serve immediately!